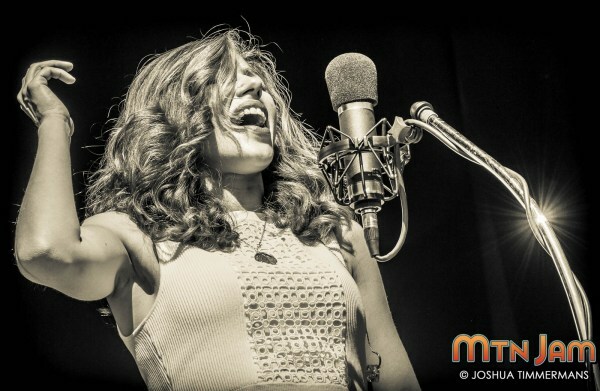 Now in its 12th year, Mountain Jam has established itself as a destination event for a wide variety of artists from a large array of styles. And yet over those dozen years, festival co-founder Warren Haynes has performed with Govt Mule for every single year — generally in the featured spot on Friday or Saturday night. 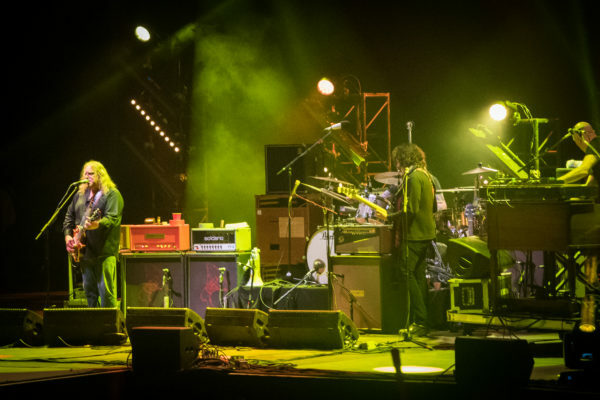 This year, the Mule played the headline set on Friday after an abbreviated set by Wilco (here). 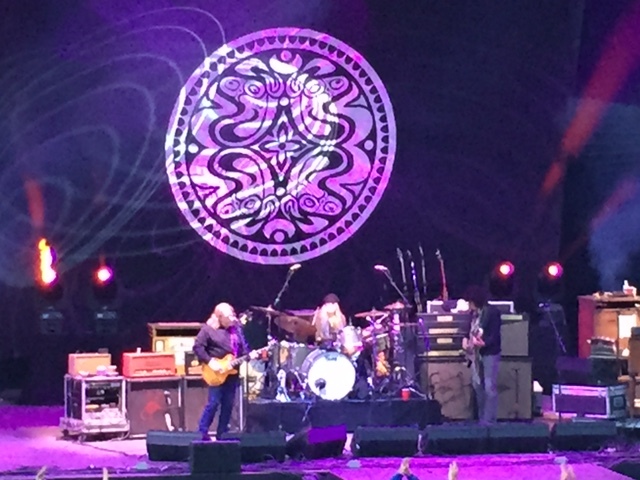 Since its his weekend, Haynes’ Govt Mule was unlimited in their time to play and performed a nearly three hour set that went late into the night. On display were the standard special aspects of the Mule Mountain Jam sets, including special guests, extended jam segments, and a plethora of covers. For this particular show, the highlight was most certainly when the Mule was joined by Marcus King and the horn section from his band for a blistering version of the Tower of Power classic “What Is Hip” that spanned a full seventeen minutes of superb multi-genre jamming. Warren Haynes is currently on tour playing solo shows in Europe before returning to the US for several nights with the Garcia Symphonic Celebration before Govt Mule returns to touring in the Fall. All dates here. I recorded this set in the same manner as the Wilco set and the quality is equally outstanding. Enjoy! You would have been safe to assume that his 2007 departure from Drive By Truckers would have been fatal to Jason Isbell’s career, but in the near-decade since the split Isbell’s solo work has eclipsed that of the Truckers. 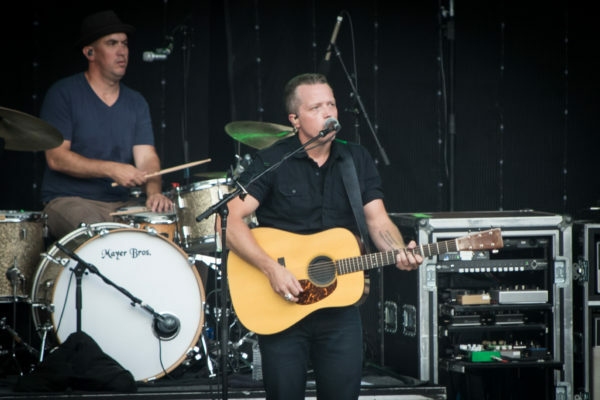 Indeed earlier this year Jason Isbell secured his first two Grammy Awards for his brilliant 2015 album Something More Than Free and its stand out track “24 Frames”. Isbell has also split stylistically from his Truckers material, as his solo records have steered towards traditional country and roots — a more natural fit for the artist. 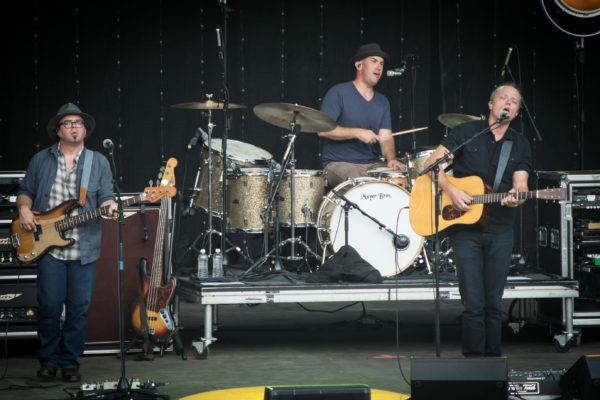 At Mountain Jam this year, despite his high profile Isbell was given an early evening slot during the daylight. Although he would later appear as a superb guest during the Wilco set, Isbell’s daytime set was anything but uninspired. 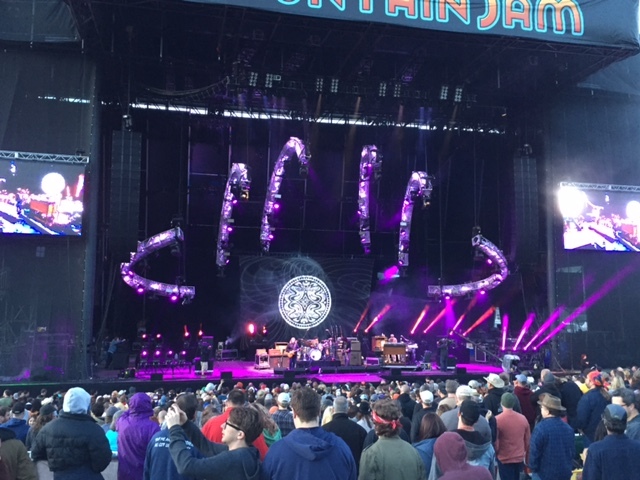 In fact, this was one of the best sets I’ve seen in many years at Mountain Jam. The band was tight, the music top notch and the performer wasn’t holding anything back. Isbell worked through a very representative set, including all of his hits, a few rare numbers, and he even stepped back in time to do a couple of this Truckers numbers. Jason Isbell will be touring literally all summer in US and European Festivals, outdoor gigs and some club dates. He plays Bonarroo today. All dates HERE. I recorded this set in the same manner as the Wilco set and the sound quality is comparable. Enjoy! This weekend I came across a photo of Jeff Tweedy with Bob Dylan at Bonnaroo in 2004. In the photo, Dylan is wearing a cowboy hat and looking very much like the bemused elder statesman and Tweedy is wearing a baseball cap, an exposed laminate pass and a look of a satisfied fan. 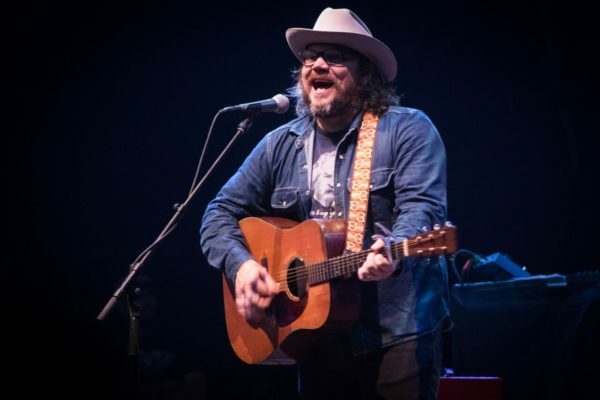 To be fair, at that point in his career Jeff Tweedy had already founded one of the most influential alt-country bands (Uncle Tupelo) and carried Wilco through a series of superbly received albums and tours for nearly ten years. Fast forward to this weekend at Mountain Jam and twelve years later its now Tweedy wearing the cowboy hat and taking the role of elder statesman. The large video screens give the crowd an ability to see closeups even if we’re fifty feet from the stage, and throughout the set it was a hoot to see the bemused look on Tweedy’s face as the Jam crowd roared for every familiar song. But like Dylan before them, Wilco’s set wasn’t just a band churning out the hits — this is an active group with new material and although Star Wars wasn’t played straight through as with the Portchester shows a few months back, the newer songs were well represented in the show, and fit well sprinkled among the familiar songs. 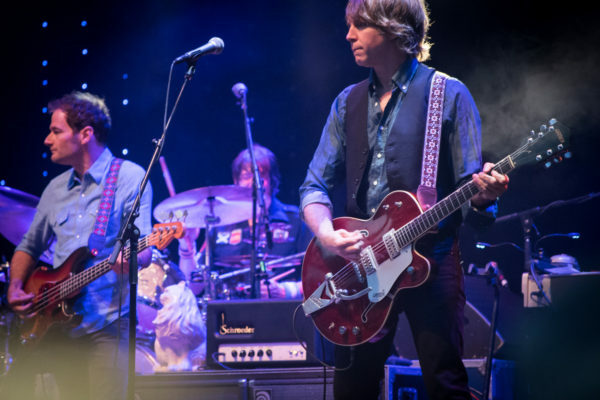 The highlight of the set was another veteran/protege appearance, as current alt-country star Jason Isbell joined Wilco for a tremendously well played “California Stars” with dueling guitar solos between Nels Cline and Isbell. And at that high point of the set, Tweedy didn’t look bemused but truly pleased with the superb collaboration. I recorded this set with the large diaphragm Neumann cards set up in the taper’s “section” on the hill. The sound quality absords some of the crowd chatter and some of the outdoor elements, but overall its an excellent capture. Enjoy! If God was one of us here at Mountain Jam, he probably would’ve staved off the torrential rain that started falling just after this set by supergroup Trigger Hippy, which features Joan Osborne, Black Crowes drummer Steve Gorman, session guitarist Tom Bukovac, singer/songwriter and Black Crowes guitarist Jackie Greene and bassist Nick Govrik. The band’s sound is about what you’d expect from this combination of players — Crowes-style bluesy rock that replaces the tenor twang of Chris Robinson with Osborne, packed around some dense riffage. Along with some of the band’s originals, they played some of the day’s more interesting covers (that is to say, not just extremely popular 70s rock hits). In this case, we got Aretha Franklin and Albert Collins tunes, both of which suggest the influences that led to this band. With each artist having a complimentary background and style, this supergroup may not quite be more than the sum of its parts, but the sum of these parts was more than enough to make Trigger Hippy a worthwhile addition to this year’s Mountain Jam lineup. I recorded this set from an optimal spot next to the soundboard cage with MBHO microphones. The sound quality is excellent. Enjoy! If you enjoyed this set, PLEASE SUPPORT Trigger Hippy, visit their website, and buy their debut album in their online store. We’ve chronicled the rise of Hurray For The Riff Raff quite often over the last few years — so often that their appearance at Mountain Jam isn’t even the first festival appearance we’ve captured. Last year at the XPontential Fest, HFTRR appeared on the biggest stage we had seen them play yet and slayed the huge crowd. The experience at the Jam this year was quite similar, except that the band was placed higher in the bill right before the headliner Alabama Shakes (recording here). Though it was a tough spot, as the crowd seemed to be gravitating to the main stage, HFTRR played a tight hour-long set at the west stage. Opening with a “mountain” song in tribute to the Fest, the band worked through a familiar set of songs with six songs from last year’s career-changing success Small Town Heroes, a couple of older songs, and one brand new one that we first heard at the Bowery back in April. Hurray For The Riff Raff performed at Bonnaroo this weekend, and will continue to play at several Festivals and other selected dates throughout the Summer. I recorded this set with Neumann large diaphragm cardiods from our section up on the hill. There was some wind during this set, but the overall quality is quite good. Enjoy! For a festival called a “Jam,” this year’s Mountain Jam was pretty light on “jam” bands. Luckily, they picked one of the very finest up and comers in the genre to play a Saturday afternoon as well as a late night set. Dopapod aren’t a household name in the wider world (Rolling Stone picked them as a “best kept secret” for the upcoming Bonnaroo), but to those in the scene, they are one of the most promising improvisational bands to come along in a generation. While many of their contemporaries ply the “electronica with real instruments” tack, Dopapod feel harder to pin down and more old school, drawing inspiration from rock, jazz, prog, metal and — yes — electronic music to create something that’ll keep even non-twisted listeners happy. The foursome have a rock-solid musicality, able to flow seamlessly between improv and pre-written material in their songs (witness one of their constant epics, “Trapper Keeper,” streaming below). For my money, the band’s real anchor is keyboardist Eli Winderman, whose bank of keys is what gives the band such a wide palette to play with. This day’s set felt less “electronic” and more “funk” than some of their shows, and that worked well here. Even in the woefully short 56 minutes (their normal sets run to the two to two and a half hour range), those of us who didn’t know the band well heard a lot of reasons to pay closer attention. hi and lo and I recorded this set with Schoeps MK4 microphones from a nice location near the soundboard. We got hit this afternoon by occasional spots of wind, but the overall quality is excellent. Enjoy! 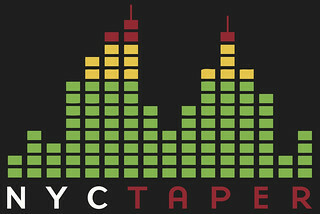 This set is hosted on the Live Music Archive. You can find its page here. If you enjoyed this recording, PLEASE SUPPORT Dopapod, like them on facebook, and buy their stuff from their website.